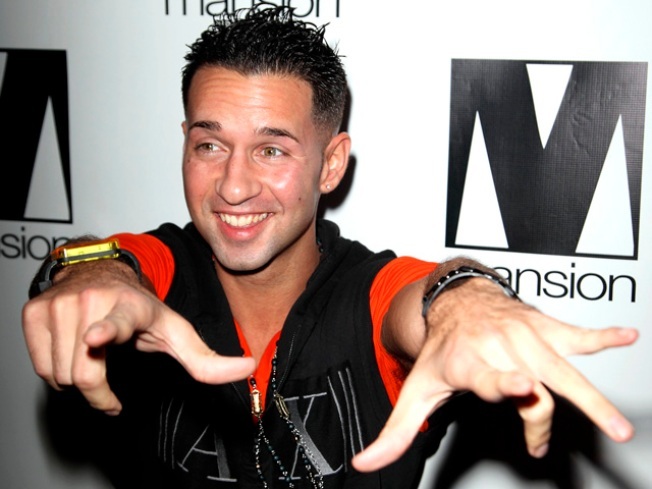 "The Situation" wants to take his message to high schools everywhere. If you caught Access Hollywood's Guest Correspondent Mike Sorrentino at the Grammys, you'll know that pretty much all of Hollywood knows about "The Situation." So it should come as no surprise then, that the star of MTV's "Jersey Shore" is working on heading back home to share tales of his journey to stardom at his Staten Island alma mater. "Yeah, supposedly I'm trying to work on possibly going back to my high school," Mike told Access Hollywood on Sunday night following his stint alongside Access' Shaun Robinson on the red carpet. "I think it's either [for] their senior week or their prom or their graduation or what have you. We're in contact with somebody in that realm to possibly speak to the kids." So what does "The Sitch" plan to tell America's promising young minds? "I'd probably say to them, make sure you keep doing your sit ups," he laughed, adding, "I'm joking, I'm joking. "[I'd tell them] to pretty much believe in yourself — no matter what," he continued. "At the end of the day, stick up for yourself whether you have spiky hair, long hair, blonde hair, black hair, whatever it is, stick up for yourself and you know, go for your dreams because at the end of the day, you can pretty much accomplish anything if you put your mind to it." As for his own accomplishments, those are set to grow as The Situation recently signed on for Season 2 of "Jersey Shore" alongside Season 1 cast mates including Nicole "Snooki" Polizzi and DJ Pauly D (Delvecchio). "Season 2 — I'm pretty excited for," he said. "We're all pretty much friends, sort of (laughs) in real life and we all have roles and relationships, so I'm pretty excited. Everyone knows my role in that house in that whether I'm the leader, or I run the house, or what have you." Although the full original cast has signed on for Season 2 (minus Angelina), when asked if he'd be interested in mixing up the house with a new face, Mike said he'd enjoy that. "You know, I wouldn't mind a new roommate to maybe stir things up, you know. And we'll see because I'm pretty excited," he said. "It's definitely going to be pretty crazy because the first season was pretty crazy from start to finish." And speaking of crazy, even the Sorrentino family is having fun with the things that have come Mike's way. "My mom and dad are just so excited. I mean, they can't believe their little boy's [become] very, very famous, very, very quick," he said. "Between the offers and the money and the fame, it's insane. And between America, you know, I can't go out in public without people chasing me and fans screaming, 'I love you,' and you know, I love that."